The first Soyuz rocket to launch from a new cosmodrome in Russia’s Far East is being assembled for liftoff in April with a package of small research satellites. 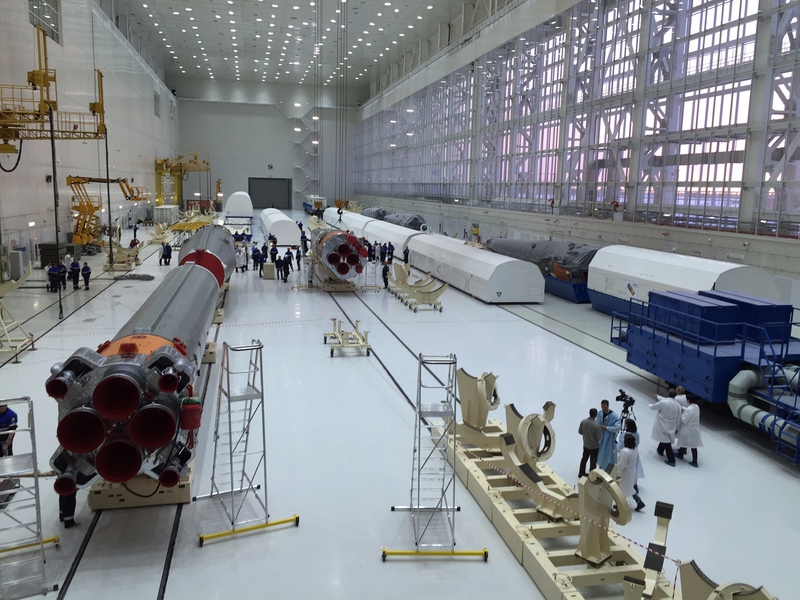 Technicians inside a hangar at the Vostochny Cosmodrome have connected the Soyuz rocket’s two core stages and four liquid-fueled boosters ahead of electrical tests that will verify the launcher’s readiness for flight, according to Roscosmos, the Russian space agency. Ground crews from TsSKB Progress, the Soyuz rocket’s manufacturer based in Samara, Russia, will complete preparations on the rocket by March 15, Roscosmos said in a Jan. 26 update posted on its website. 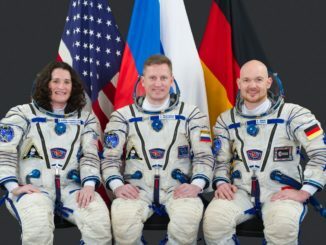 Russian news agencies have reported the Soyuz booster is tentatively set for liftoff April 25 on the first launch from Vostochny, a facility located in Russia’s Amur region near the Chinese border about 3,400 miles (5,500 kilometers) east of Moscow. Two of the three satellites that will launch aboard the Soyuz rocket arrived at the Vostochny Cosmodrome on Jan. 21, Roscosmos said. A Russian Ilyushin Il-76 transport jet delivered the Aist 2D engineering test satellite and the SamSat 218 CubeSat to Vostochny, along with the Soyuz rocket’s Volga upper stage, which will inject the satellites into orbit. The 1,170-pound (531-kilogram) Aist 2D satellite, made by TsSKB Progress in partnership with Samara State Aerospace University, will demonstrate a new small spacecraft design with a high-resolution hyperspectral imaging camera. Aist 2D also carries an innovative radar operating in P-band, a wavelength that penetrates through forest canopies and Earth’s surface to study underground structures. 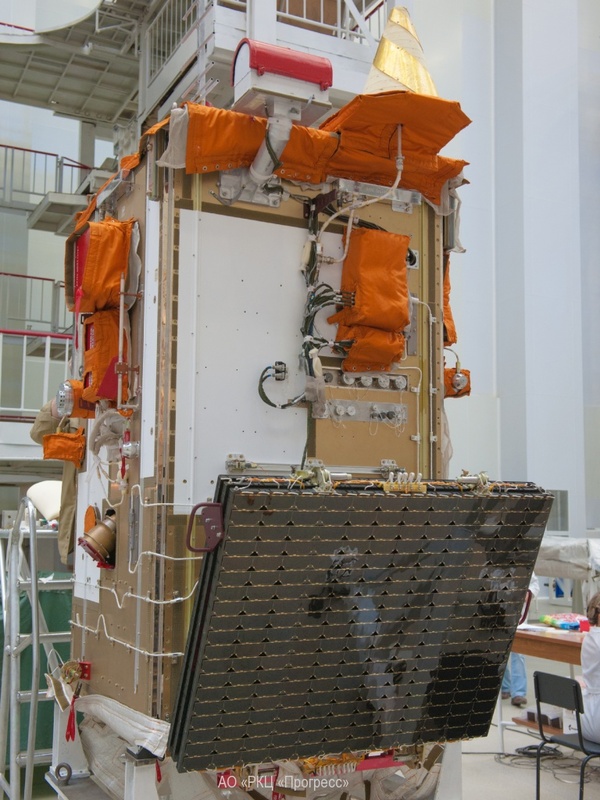 The SamSat 218 satellite, built by students at Samara State Aerospace University, is about the size of a shoebox. The craft’s mission is part-educational and part-technology demo, with its flight plan including tests in how to control tiny satellites in orbit. Engineers planned to keep the Volga upper stage and the Aist 2D and Samsat 218 satellites in their shipping containers until early February, after ground teams complete tests of the Soyuz rocket and its launch pad. 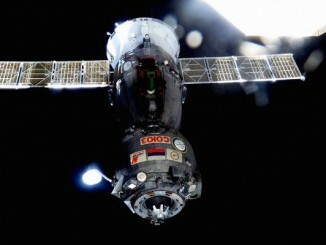 The delivery to Vostochny of the mission’s third satellite, developed by students at Lomonosov Moscow State University, is expected in February, Roscosmos said. Named for Mikhailo Lomonosov, an 18th century Russian scientist and writer, the spacecraft will weigh nearly 1,000 pounds (about 450 kilograms) at liftoff, according to the mission’s website. 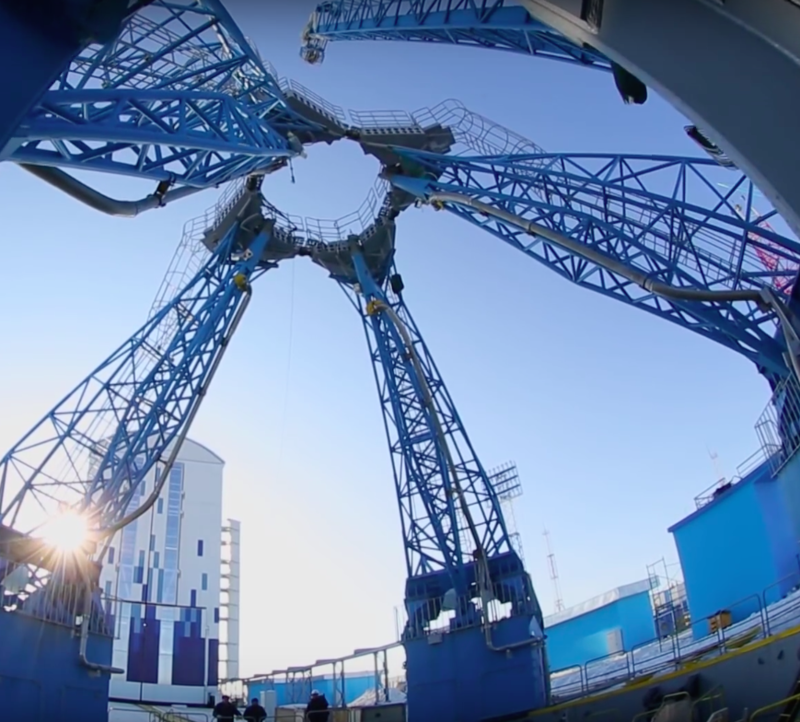 The first launch from the Vostochny Cosmodrome, a multibillion-dollar project which started construction in 2011, is a major step in Russia’s plan to shift space launches to its own territory. 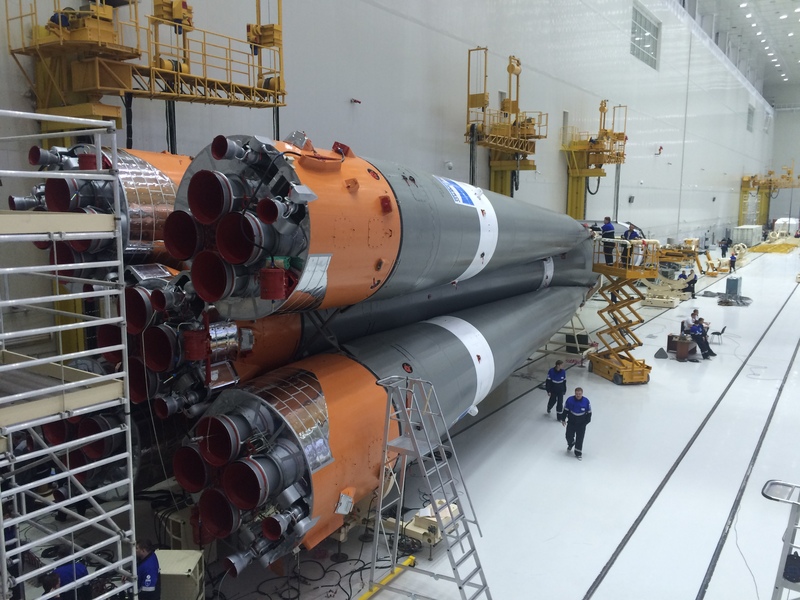 The Soyuz-2.1a rocket assigned to the April flight from Vostochny arrived at the launch site in September. Officials hoped to fly the rocket by the end of 2015, but Russian President Vladimir Putin announced the cosmodrome’s first launch would be delayed until early 2016 during a visit to Vostochny in October. 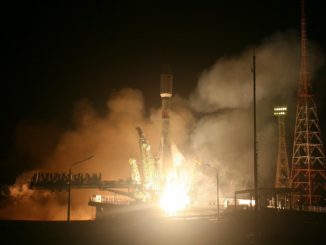 Most Russian launches blast off from the Baikonur Cosmodrome in Kazakhstan, a facility the Russian government leases for about $115 million per year. The civilian-managed Vostochny Cosmodrome will host a launch pad for the Russian Angara rocket, a new launcher aimed at replacing the Proton booster after 2020. The first flight of the Angara rocket from Vostochny is scheduled for 2021. Test flights before then will originate from the Plesetsk Cosmodrome, a military space base in northern Russia.